It's an easy walk home from here - but what are the risks? And Alf has been blissfully ignorant for decades about the dangers he has faced each time he walked home from the Eketahuna Club. Now he knows all about these dangers, he is keen to apprise his constituents of them. They are much greater – he is sure – than they ever imagined. And the warning is timely, because January 1 – Alf has learned – is the deadliest day of the year for pedestrians. An American economist, Steve Levitt, has compared the risk of drunk walking with drunk driving and found that the former can potentially pose a greater risk. Check out Alf’s previous post. It featured a set of balls. Pretty balls they are too. Today Alf wonders if they belong to Paula Bennett, because it seems she has lost hers. 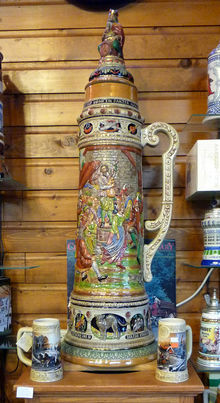 Here's what Alf recommends - a German beer stein with a capacity of 31.99 litres. Just one glass will do me tonight, barman. Make it a scotch in the bigger one, please. No, Alf has not become a wowser and he will not be signing up in support of the Herald on Sunday’s Two Drinks Max campaign. But at first glimpse – he confesses – he thought the campaign had a great thing going for it: it is promoting the idea that we should do what we think is best, not what the bloody prohibitionists or the Government thinks is best. This is a worthy approach, thoroughly in tune with Alf’s libertarian instincts. 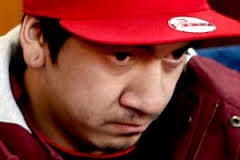 Sometimes life it is nice not to have to be told to do the right thing. You know it’s right; you just do it. The Herald on Sunday campaign launching today – Two Drinks Max – is one of those times. Our Government, for reasons we think are pretty lightweight, is not moving to reduce the amount of alcohol you can drink before you drive. In doing so it is passing up the chance to save lives. Our poll proves the New Zealand public know this, and want the rules changed. But we don’t need legislation. The power is in our hands to ensure we drive safely, and pledging not to drink after having any more than two standard drinks is the way to do it.